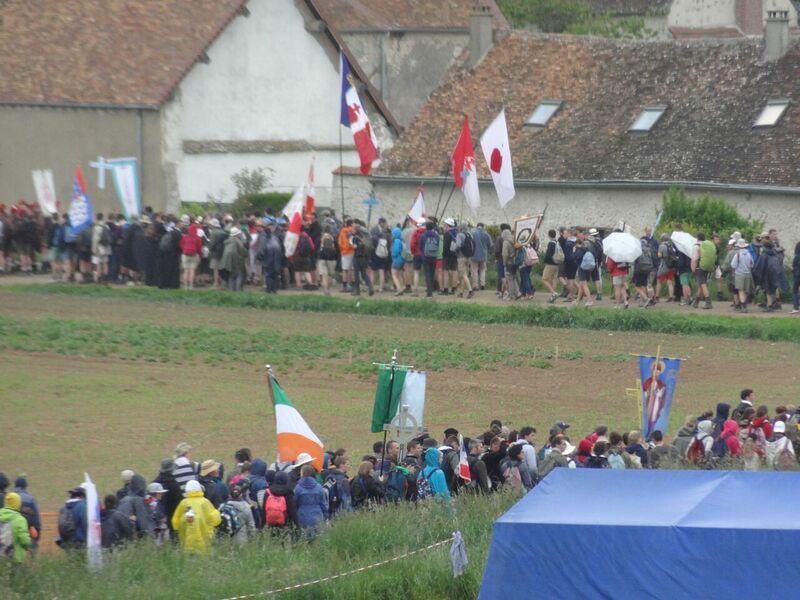 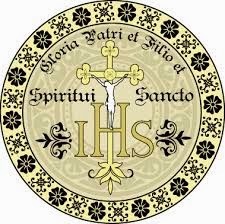 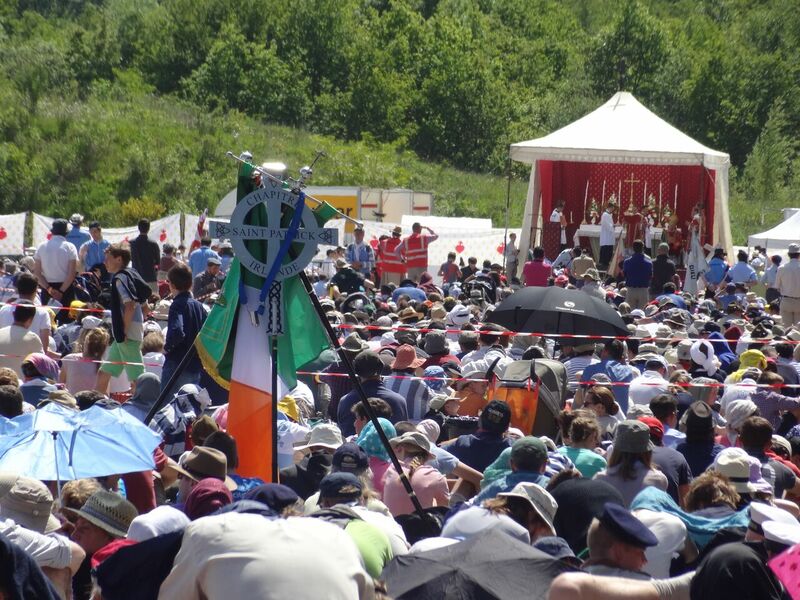 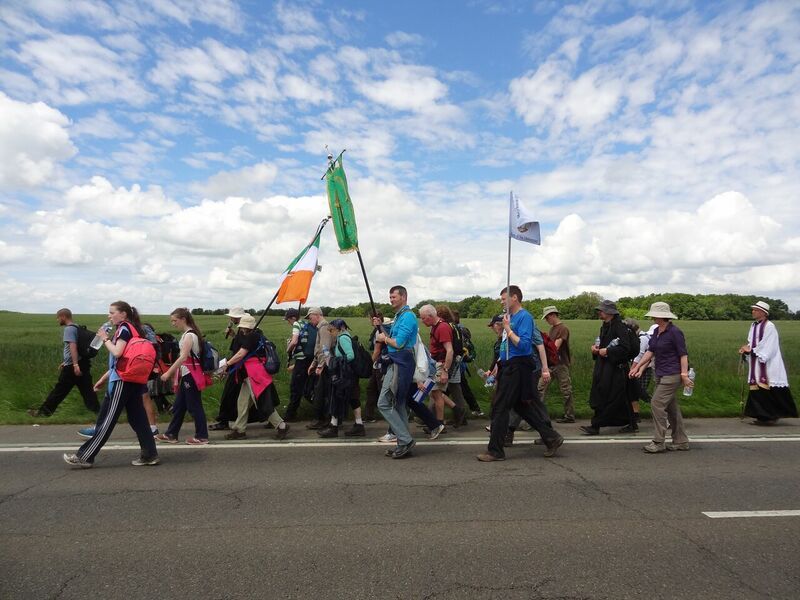 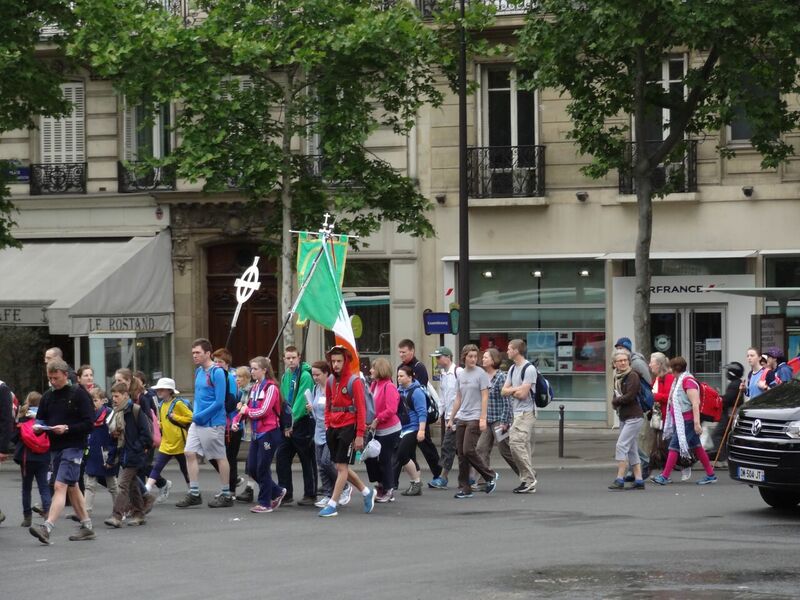 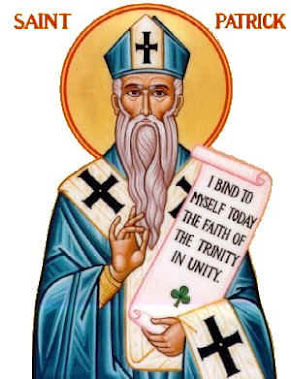 St. Patrick's Chapter, Irish pilgrimage to Chartres: Pilgrimage to Chartres 2015! 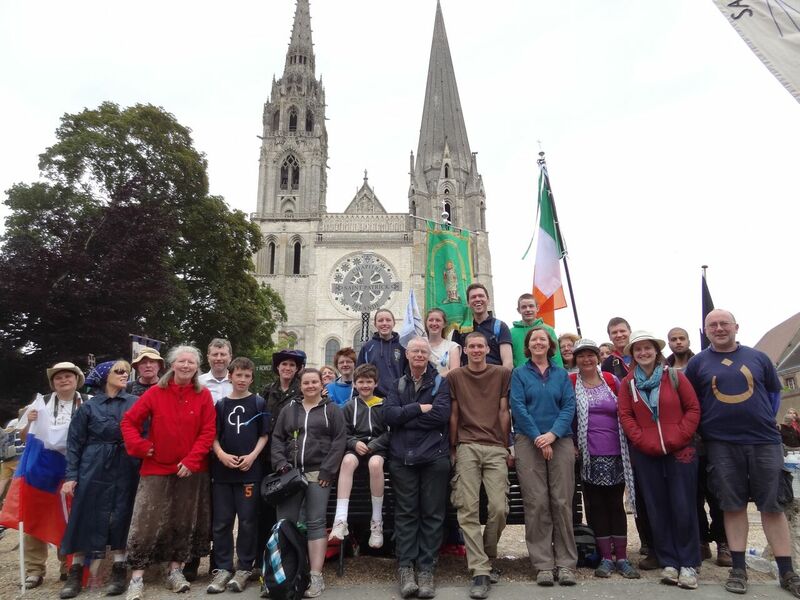 The Irish Chapter has returned safely from the 33rd Pilgrimage to Chartres. 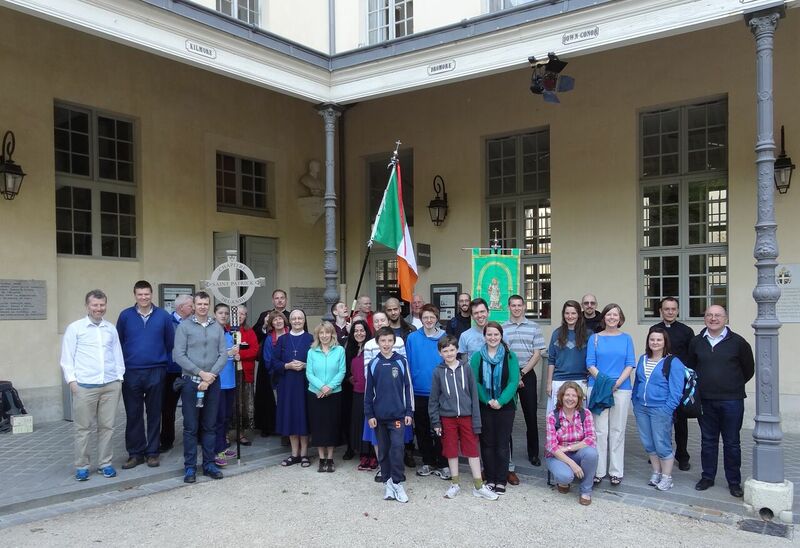 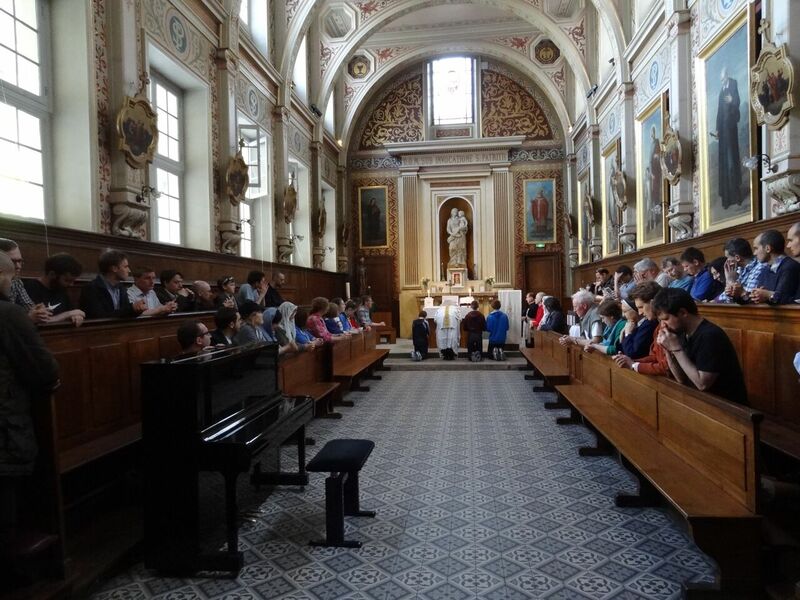 Our pilgrimage began with Mass in the Irish College on Friday evening where we were joined by members of the Our Lady of Walsingham Chapter, including Fr. 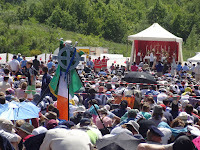 Gerard Byrne and Fr Martin Edwards. 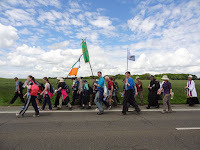 On our three-day procession to Chartres we had 32 pilgrims in our Chapter, and were once more joined by the Russian Chapter. 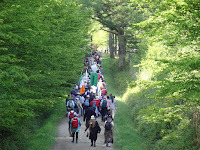 We were blessed with great 'walking weather', not too hot and only one morning of rain. 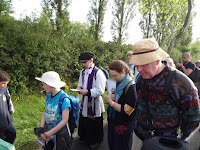 For the duration of the pilgrimage we were joined by Dom Finian and Dom Elijah from Silverstream Priory in Co. Meath. 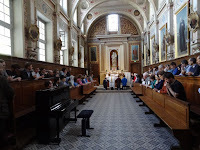 Fr Gerard Byrne of our Our Lady of Walsingham Chapter joined us on Pentecost Sunday and we also had visits from seminarians and priests from America, France and Lichtenstein. 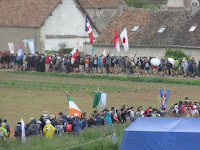 Plenty of new faces and also some I do recognize from last year. 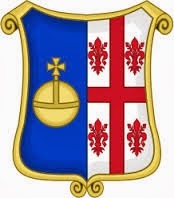 Well done to all of you.